We all know that the results of a Google search vary from person to person. You will rarely get the same results as your colleague, your friend or your spouse. And if you do, they will most likely be shown in a different order. So how can you optimize your content for personalized searches? Isn’t this a futile attempt? First, let’s take a look at the factors that influence personalization. 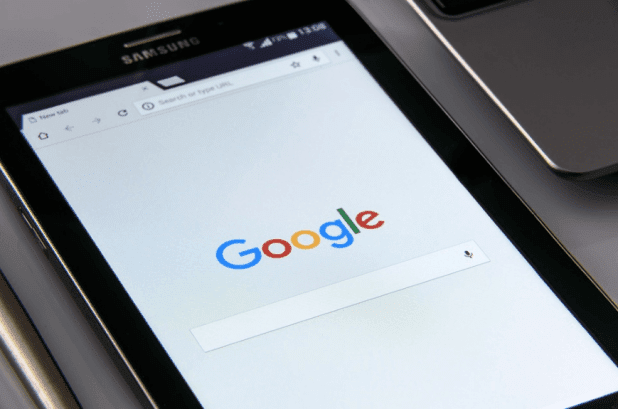 Personalized searches – how does Google decide what results to serve you? Briefly put, personalized results are based on what Google knows about you and on ‘regular’ ranking factors. Your location and your device are the first two things that bots look at. This way, they know how to serve you results that are relevant to your current location and results that match your screen size. This makes search better, faster and more pleasant. For instance, you won’t have to look for ‘coffee shop in downtown Seattle’. You can simply search for ‘coffee shop’ and Google will start by listing the ones closest to your current location. Even more, it will leave out websites that are not mobile responsive (if your search was on a mobile device), so you can enjoy a seamless experience and not waste time on websites you can barely read. This is the information Google has access to if you are not logged into your browser or your social media accounts. If you are logged in, then Google knows a bit more about you: your browsing history, your social media accounts and your friends, other Google products (Maps, Calendar, Hangouts, Gmail). Compiling all this info together, Google knows how to return the results that match your preferences. For instance, if you’re a regular at Whole Foods, when you search for a coffee shop near you, you will most likely be directed to an organic one. Now that we got this covered, let’s see what you can do to make it work for your business. Whether your write your own content/copy or hire SEO copywriters to do it for you, personalization is something that should always be kept in mind. Yes, even if you don’t have a local business and even if you cater to international audiences. Again, even if you don’t own what is traditionally called a local business, keep in mind that some people are more prone to supporting local companies. So make sure that your address is clearly visible on your website. And even mention your city by name a couple of times in your content. Keep your Google My Business listing up to date. Odds are that this listing will appear before your website in local searches. Aim for consistency across channels – you want all your contact data to appear the same on your social media profiles, website, Google My Business and any other channel. 80 percent of ‘near me’ searches happen from a mobile device. In fact, the better part of any type of search now happens from a mobile device. You don’t want to be left out of this, so make sure that your website is mobile responsive. But what about content? Can you really do something here? Think about what you like and what annoys you when you read something on a small screen. Large blocks of text are a no-no. Instead of targeting broad keywords, try to aim for long-tail ones. Put some thought into user intent. What could drive readers to your website? This is what your keyword research should be focused on: understanding what drives your ideal customer in each phase of the buyer journey. For example, a real estate agency could target ‘houses for sale in Austin’. However, that would be pretty hard to rank for. ‘Two-bedroom apartment for sale in Austin’, on the other hand, is much easier to rank for. More importantly, such keywords speak volumes on user intent. A generic search for houses for sale could show that the user is still not sure what they want. The more specific the keyword, the better your chances of selling through SEO. When we onboard a new client for copywriting or content writing services at Idunn, we invariably speak about their target audience. And when we mention personalized search, everyone thinks they should target as many people as possible. Try to write for everyone and you’ll end up writing for no one. When everything is personalized, from email to search results, your potential customers expect you to deliver the same level of personalization in your content. So dig deep in your research. Try to reverse engineer the Google approach. If Google takes into account a user’s history and social media activity to deliver personalized results, so can you. Think about what else your audience is interested in. How they speak with their friends. Where they hang out (online and offline). What their other problems are. Answer these questions and you’ll be able to zero in on your ideal customer and make sure that personalized searches work for you, not against you. And if you need help with content that is optimized for both search engines and human readers, feel free to reach out to my team of amazing writers. Thank you for the great article. The content of the blog or website is an asset of the webmaster so, all the webmaster need to optimize these content for your target audience and for the google because Google also working consistently to improve the user experience that’s why Google is the most preferred search engine in the world then start to improve or optimise the content for Google by the above tips.